Well not really me but my belt is - Blue that is! I have finally attended Karate class enough that I felt I was ready to take my next belt test. Now for some this may not seem like a big achievement but the fact is my wife and daughter earned their belts MONTHS ago and I have been feeling a bit "left behind" for lack of a better phrase. I was unsure if I was going to make it to class due to a really bad headache (borderline migraine) but with the help of several liquid gels and lots of water I overcame the pain and went to class. I was informed by my Sensei that he didn't go easy on my scoring so I was very pleased when he informed me that I passed! The girls are almost ready for their next test (purple) so I have some catching up to do, or better yet another goal to reach. Here is a link to a past post on our Karate Club Website on the meaning of the the blue belt. The causes of atheism are, divisions in religion, if there be many; another is, scandal of priests, …; a third is, a custom of profane scoffing in holy matters, which doth by little and little deface the reverence of religion; and lastly, learned times, especially with peace and prosperity; for troubles and adversity do more bow men’s minds to religion. They that deny a God destroy Man’s nobility, for certainly Man is of kin to the beasts by his body; and if he be not of kin to God by his spirit, he is a base and ignoble creature. It destroys likewise magnanimity, and the raising of human nature. For take an example of a dog, and mark what a generosity and courage he will put on when he finds himself maintained by a man, who to him is instead of a God, or melior natura; which courage is manifestly such as that creature, without confidence of a better nature than his own, could never attain. So Man, when he resteth and assureth himself upon divine protection and favour, garthereth a force and faith which human nature itself could not obtain; therefore as atheism is in all respects hateful, so in this, that it depriveth human nature of the means to exalt itself above human frailty. I collect old and antique books, it is a passion. Recently I decided I had to many books (hard to believe) and started to thin the collection a little. Some are beyond repair, some I will never read, but a few I have decided to read to help me decide the fate. The above passage is from such a book. Written in Olde English it can take a moment longer to read but to me it provides significant insight. What surprises me as I read through many of these books that were written 100-200 years ago is how in touch the authors were of our current social and political struggles. This perspective helps me to see that we are unique but timeless in our struggles, we are egotistical enough to think that only our generation has dealt with such things. We view the past through filters that lead us to believe that problems were different and certain issues didn’t exist. While extreme topics may have been tempered throughout time they seem to rise and fall like the tides of the sea from my readings. What is interesting is the presentation of their thoughts. In the above passage I find the example of the dog in the last paragraph the most poignant. Whether you believe in God or not this example should give pause to deeper thought. It is a calling to a higher order, an illustration of the limitless bounds of the human spirit given aspirations of heavenly targets. Perhaps that is to flowery for most, I tend to talk in extremes to make my points. I do not say these things or ponder these topics here to convert, that isn’t my concern. I ponder them because it helps me to better understand those whom I run into daily. The vast majority of people I meet do not know what they believe. If they profess to know what they believe often they do not understand what or why they believe it. God, no God, darkness and dirt, or heavenly fields, these are after all the reasons we pursue knowledge and enlightenment, we wish to know the unknown, we wish to feel some ounce of control over our path. Not all of us ponder these thoughts but for those us that do, what do you know? To know is indicative of knowledge but how can we profess knowledge of things near impossible to prove? There is the gem, there is no need to prove anything! Oh we want to convince others that we have the secret, many out of compassion for others, more out of a need for validation, very few because they have clarity of truth. Clarity of truth is a funny thing, when you have it (and I’m not saying I do) you are unaffected by the scorn of others, because you know. This is that state of calm where you know in your gut what is and isn’t. There is peace there, yet it can make others very uncomfortable even in their calm silence. To many people are evangelical about their causes. In my opinion evangelical people are simply looking for others to validate them, they are like the 3 monkeys who hear no “opposing views”, speak no “opposing views” and see no “opposing views”! Perhaps that is the only way they can support the reality they have built. This applies to every topic from religion to relationships and politics to pollution! They over simplify the world to make it easy to explain away anything that is uncomfortable. Yes these words are a double edge sword, it cuts both ways, but that isn’t my concern because I am not worried about you. We need to spend more time looking inwards and less time getting upset with others. Whoever said, “Know thyself and to thy own self be true” was on target. This was somewhat of a free form, stream of consciousness post but hopefully you found something useful in the reading. Before you bring it up let me close by saying this passage is not meant to bash anyones beliefs or lack there of, but to provoke thought and introspection. Some of my previous posts on similar topics have been the subject of positive and negative discussions on other blogs. These posts are what they are presented for, meditation points, points of reflection, to stimulate thought and interospection. If you are adverse to critically examining your own beliefs and thoughts on any topic, then you have little hope for growth. Often those that disagree with us (the global us encompassing all views) seem to feel we are simply misguided or at a lower stage of enlightenment. From where I stand my perspective on most controversial issues is clear, but to many I may seem delusional! That is their right and I respectfully support that right. Of course attacking my point of view irrationally would point to your stage… 😉 Perhaps some of the words I have used are to strong, misguided, dillusional, etc, for not everyone feels that strongly, regardless I intend no offense but do not apologize for any made. Green is the color of life and growth. The green belt indicates the beginning of your life as a Martial Artist and growth as a person. We live in the present but for the future, and growth is necessary and essential to that journey. Growth stimulates change, which we must accept even though change often causes feelings of insecurity. Growth does not always come easily and is rarely without some discomfort or pain, but the achievements of our previous growth and the memory of those pains should motivate us to work harder. You begin with the Green belt so that you will always be reminded of the importance of this growth that will lead to the perfection of your Self. Let me apologize to all our loyal readers for my silence this past week, I am dealing with a few personal issues that have me slightly distracted at the moment. If all goes well I should be back in action this coming week with some very interesting topics and material. Perhaps I will write more about some of the issues I’m dealing with but right now I didn’t want to leave everyone hanging in the dark. The definition of technique is a “method of accomplishing a desired aim”. In the Martial Arts our aim is mastery of our bodies, minds and self. Like everything in life the road to mastery begins with the basics. The basics of the martial arts lie in technique. The techniques we learn are precise having been developed and perfected over hundred’s of years. There is a famous saying “1,000 days of training a beginner, 10,000 days of training, a glimpse of the mysteries”. This saying is a quote by Mas Oyama, the founder of Kyokushinkai Karate. Before we discuss the meaning of the saying we should put it into perspective. 1,000 days is equal to 2 years and 9 months. 10,000 days is equal to 27 years and 5 months. Could this be correct? That is a LOT of time! The times may vary but the message is most certainly true. We are all beginners in life no matter what our age. While this is not the reason I am writing this article it is important to maintain our perspective. The above quote is meant to drive home the point that no matter our age or level of experience, only with constant dedication and commitment do we attain Mastery and thereby gain a form of enlightenment. In ancient times, new Martial Arts students were required to practice the same movement everyday for one year. The purpose was to perfect the technique of that one movement. While mainstream Martial Arts rarely uses this form of instruction, the principle remains to be true. This is why even the master does not neglect the warm-up and routine exercises used to help the beginner learn. What does daily practice have to do with technique? Technique is everything in the martial arts and life. If a builder does not follow proper techniques when building a structure, it is sure to fail. Do not mistaken; the structure may look perfect but when put to the test it will most certainly fail. The basic techniques we learn in the Martial Arts are our foundation. If we neglect them not only will we never attain Mastery, we will meet with disastrous failure when put to the test. When teaching a favorite reference is the original “Karate Kid” movie. This isn’t a joke, that movie portrays true karate and the importance of learning the basics well. The Karate Kid also uses the teachings of Mas Oyama! 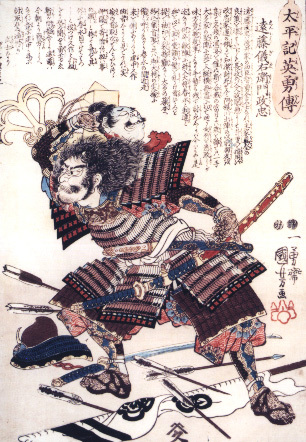 Daniel uses one of Mas Oyamas books in the movie when practicing. Here we have a student (Daniel) eager to become a Martial Arts expert so he can defend himself. His instructor understands that we can gain nothing worthwhile quickly and begins to teach Daniel the basic techniques thereby creating a strong foundation. Watch the movie to see if you can pickup on all the other lessons it contains. Too often Martial Arts students skip the basics so they can learn some Jackie Chan style moves. Too often Instructors are willing to skip teaching the basics so they can keep their students interest and increase their profits. The problem with either situation is the foundation suffers; these students do not have the foundation to perform correctly use and adapt the basics in a real world situation. In the beginning of the “Karate Kid” Daniel gets into a scuffle on the beach, while he knows the basics of Karate he lacks perfection of these basics. As a result, he loses. Focusing on learning the basic techniques to perfection provides a solid foundation from which to build Mastery of all techniques so they become second nature. When no thought is necessary your reaction time increases significantly and this gives you a distinct advantage. Of course reacting quickly is useless without the correct reaction! This is the importance of technique. Without mastering the basic physical techniques, a Martial Arts student has no hope of attaining the higher rewards of dedication to the Martial Arts. The student will never know inner peace, self-control, personal achievement, and the true nonaggression that is the Martial Arts. 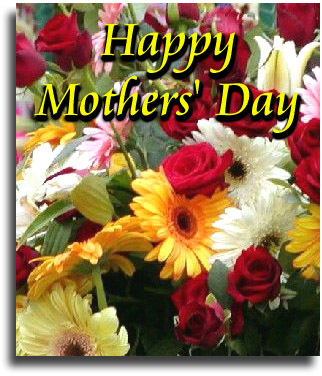 May we all remember our Mother’s with Love and Affection on her special day. 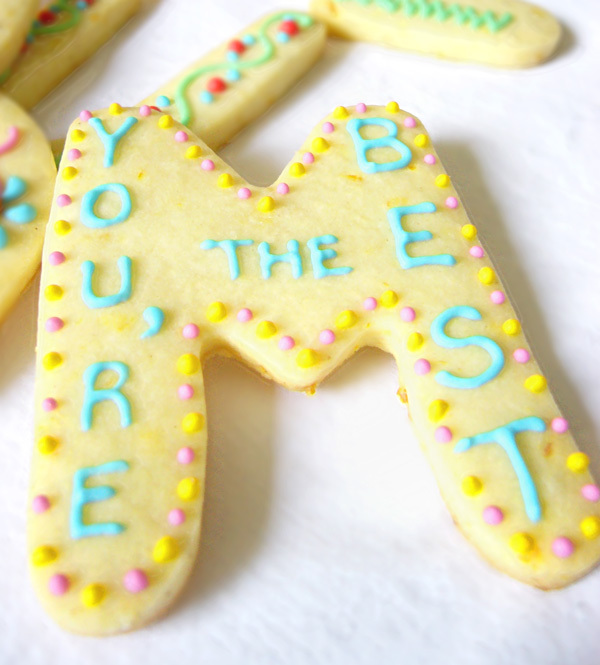 I know my Mom and probably your Mom deserves a cookie something like this! 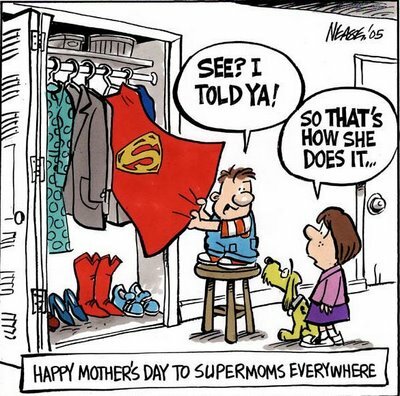 Most days being a Mom is the hardest, most thankless job around. I always teach my students that “Sticks and Stones will Break my Bones but Names will Never Hurt Me”. I don’t put much stock in words unless they are coming from someone who’s opinion I truly care about. But then I saw the above comic and I thought, perhaps there are some words, in certain situations that we need to be careful not to use! …Especially since we cannot control how others will react and many consider words more dangerous then sticks or stones! I thought I would post a few graphics on the birthday of this blog so I could look back at how the traffic has grown. I’d like to thank everyone for all of your support and encouragement. Here’s to continued success! Happy 3rd Anniversary to Martial Thoughts! Happy 3rd Anniversary toooo Martial Thooouughts! It is hard to believe that I started blogging 3 years ago, May 9th, 2005?! I am going to take the day off and practice some Kata… really! We make a fist from the moment we are born, clenching our fists against the unknown. Fully grown we are still prone to instinctively clench our fists in sudden stressful or fearful situations. But as we grow and mature many of us forget the proper way to make a fist. Without this knowledge we stand a better chance of hurting ourselves then those we would defend ourselves from. The fist, or closed fist is the most well-known of the Martial Arts form. The karate chop may be more popular, but the fist is our main defensive weapon. Simply clenching your fingers into your palm does not necessarily make a correct fist. There are important facts to master before learning to use your fists properly. The two pictures above demonstrate a correctly formed fist from the side and top. Notice the fingers are all curled in as tightly as possible, and the thumb is folded down over the second row of finger segments. The tighter the fist the more powerful it is and the less it will hurt the owner. If a fist is not tightly clenched then some of the striking force goes to compressing the fist. In a tightly formed fist very little of the striking force is lost to compression meaning most of the force is applied to the surface you are striking (like the face). This however is not true unless you are striking with the correct surface of the fist. The striking surface is the one inch square beginning at the top of the index and middle finger knuckles, downward. The direction of the strike and the alignment of the supporting wrist are also incredibly important. In the following picture notice that the wrist is aligned with the two wrist bones (metacarpals) so that the any backwards force will distribute and dispress through them. The wrist-fist alignment must not allow for any torque of side force to be applied to the wrist bones, meaning the wrist need to be straight. One more important option remains, to make a horizontal strike or a twisting strike. I horizontal strike means that the fist begins and ends in the same orientation (palm facing the floor, wall or ceiling without change). This is a straight punch from a ready position. With a twisting or screwed strike (classic karate strike) your fist begins palm up and ends palm down at the moment of impact. This unscrewing motion can create a vortex or twisting effect through the body structure and fluids thus resulting in a more penetrating strike. This of course is more difficult to perfect but once performed correctly the difference is immediately noticeable. With a straight punch there is less room for error and therefore this is a safer punch for a beginner. However the torque punch or twisting strike can be significantly more powerful. With either type of strike though it is important to remember that your finger tightness, wrist position and orientation are critical to correctly using this defensive weapon. Incorrect positioning, orientation of the wrist or tightness of the fingers can result in broken bones for you not your opponent! When training practice slowly to perfect the form and technique then gradually increase the impact to a padded target to avoid injury. Of course please alos seek the instruction of a qualified instructor.